I make a departure from the normal schedule to write a much needed letter to Essence following their natural hair chat yesterday. This is a long letter, every word chosen to be poignant. It was with much trepidation that I chose to watch the natural hair chat yesterday. I have previously read questionable articles in your publication, the most memorable of which was a hairdresser advising why natural hair does not need hair conditioner. Nonetheless like a hapless moth to the candle flame, I chose to give Essence a second chance and have an open mind convincing myself that perhaps it would be different this time. Alas, it was not to be. It seems that I was duped and went down in a fiery blaze bombarded with brand name hair products, oh and of course the compulsory mention of frizz. Dejected, I decided to do some research (I am a scientist after all!). According to your media kit you claim to have nearly 8 million readers (a staggering figure which means pretty much every black household reads your magazine*). Additionally your aim is to be the spirit of the black woman of every colour, my oh my what a lofty ambition! Your natural hair chat was truly lacking in spirit. The few serious questions that made it to visibility status were either not answered or worse still given misguided advice. In one breath we had advice that we should embrace natural hair no matter what our spouses think and yet the same person has chemically treated hair because their stylist would not have it any other way. Pot Kettle Black. However, as critical as this letter is, I do still commend you for the only redeeming quality that I could think of which is giving natural hair a spotlight, dim as it may be. Here are some helpful pointers as to the needs of the natural hair community. 1. Hair products are not magical solutions to poor hair care methods. There are many cheap, mid range and expensive products that work in the same capacity. We do not have to spend our hard earned cash on $30 products when a $2 will do the same (Read the first five ingredients people, many will have identical lists!). I understand that Essence relies on advertising dollars, I simply do not think this is a reason to skimp on on information, how about a best buy article feature with products under $5, $10,$20 and over $30. Surely this would cover all bases.Oprah can do it and so can you! 2. Frizz is very low on the priority list to the vast majority of the natural hair community. For a large number of us, our fuzz halos will not be tamed by a spray of any kind. We have already learned to use water or butters or gels and head wraps to smooth our hair. Seriously this is not new or pertinent information. 3. 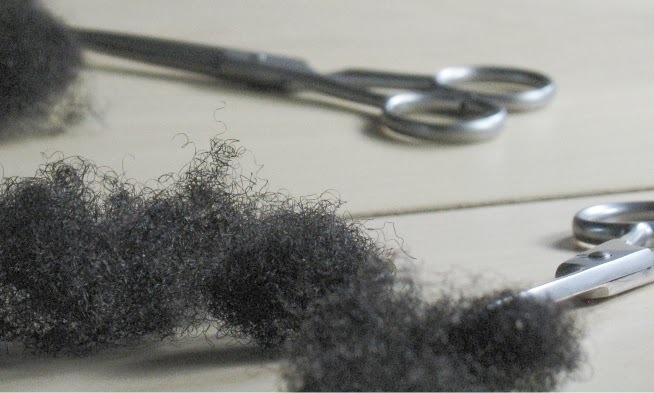 A large number of naturals are interested in growing longer hair. Perhaps one of your writers could get on the web and start tracking down many of our long haired icons and interview them. Essence could be part of destroying the myth that black hair does not grow long! 4. I seriously mean no offence by this statement. Naturally Curly is NOT the go to place for natural hair information (for my white curly readers, this IS the place for you). I have nothing against the forum it is one (if not the only) of the most inclusive forums on the web hence its appeal to me. However, all that said, the black hair section of the forum with quintessential type 4 hair is very underpopulated compared to forums such as longhaircareforum, nappturality and black hair media. Please do not misinform the public and if you are going to cite the last one on the list then surely cite the leading 3! I actually will not pay to join any forum (plus some have policies that would make your eyes water) but I will happily read every thread that is freely available and gleam off what I can. Conclusively, I am a scientist in the UK and 90% of the readers of this blog are from USA. I therefore believe I am indeed qualified to tell you off for failing to give me (us) good information. I guess I had hoped that you would have your finger on the pulse but now I realise that perhaps you require some guidance to get it there. 1. BGLHonline.com - Hands down this is the ultimate site for inspirational black hair.This site has the greatest collection of women with the most gorgeous hair. There is some diversity in hair type with a strong leaning to type 4 hair. Short, long, elegant, sassy, funky from all around the world.....you will find it here. 2. CurlyNikki.com - A good resource for hair styles through readers contributions. I do think that there is a strong leaning to type 3 or spiral type hair. The forum is supposed to be picking up too. 1. Me - Yes I said it me - The Natural Haven. I am unfortunately the lone trumpeter. This is a unique resource discussing all aspects of hair care and products from a scientific perspective. Fotki is the home of Mwedzi, Loolalooh, Sera252, Maestradiva, Kemi21, F2X............to name just a few. There are so many inspirations that I cannot name them all. I do tend to lean to type 4 hair but I know there are many 3s too like Jenteel and Richeau (EmpressRi). In the spirit of today's post, I defy you not to find these people with google! Where oh where have you been Essence? There are blogs everywhere discussing products including simple cheap and natural alternatives (yes back on the cheap story!). I suggest that you start with my very long list here and bear in mind mine is not even nearly a complete list. *40 million African Americans in USA divided by the average of 3 per household equals just over 10 million households - Staggering statistic! Great post! However, I don't think it's fair to say Essence should offer A, B, and C when they addressed the participants questions during the chat. It wasn't Essence that brought up the issue of frizz control. If I recall..not one chat participant asked "how to grow long hair". Wow Jc - where do I start. . . ? That is some letter and I commend you on taking the time and consideration in the spirit of educating one of the top African-American magazine sources about the vast, relevant information available to the natural hair community. Thumbs up to you!!! Bravo ! I hope they read it! Thank you, thank you, and thank you!! The chat lost me when Keith suggested detangling with a paddle brush and only talking about name brand products. I hope they read it too! Whoever is over the hair articles there need to step it up. Great letter. I hope they take your suggestions into consideration. Krissy questions were asked essence did not post them on the chat. And yes at 7:37 someone did manage to get a question in on hair growth. Serious and good questions were generally not posted up. The few that made it were brushed away. In fact if Chrisette had not picked up my comment about herbal essences it would never have been mentioned (my comment was never published on the main chat but clearly the participants in the chat could see them). Vital questions on detangling hair were not answered and one lady was advised to cut her hair to stop it tangling. I mean seriously this is curly hair, it has a tendency to tangle, it does not mean it needs to be cut. (Ofcourse conditioner according to essence is not good so maybe that's why hair has to be cut lol). I really think labelling some of the guests as experts is setting a very low bar. "I do still commend you for the only redeeming quality that I could think o f which is giving natural hair a spotlight, dim as it may be." Priceless and funny. My favorite part of the whole article, and what type of statistic is that? I'm in the USA and I don't have their magazine. I stopped, I truly felt insulted after reading every issue. What magazine only recommend $30 products? I think they are being bought. 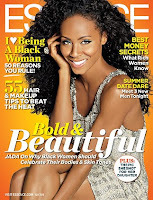 Off-topic: Do you get Essence magazine in the UK? Just curious. Thanks for the comments ladies, do keep them coming whether you agree or disagree with the letter! Addy - Yes essence is sold in UK. Their stats on the media kit apply to readership in USA only (target market). I stopped reading Essence magazine a long time ago because of multiple issues, but one is their promotion of excessive consumption. They talk about the black community not building wealth, struggling with excessive debt, etc, but then almost all the beauty products are $30+ and all the clothes are $100+. Both O and Real Simple do a great job at showing products for a variety of price ranges, not just salon/department store beauty products and designer clothes. I think it's a crime that they continue to encourage aspirational buying in those of us who can least afford it. Before I get spammed, I know that there are many black women who can afford these products, but they are a very small minority when you consider the black community as a whole. Also, their hair advice for both natural and relaxed hair is so shallow they might as well not print anything. From showing "natural" women who clearly have weaves or even relaxed hair curled with rollers to "tutorials" that are so vague that they're almost useless, right now there is nothing that Essence can offer me that I can't find on the internet in a much more useful form. Moni you made a fantastic point about excessive consumption and I could not agree more. Essence does appear to have an issue with accepting that natural hair is not all about tumbling curls. You touched on a lot of what was missing from last night's Essence chat. I do applaud them for creating the time to mingle with the natural hair community, but there really were too many questions that were left unanswered OR were answered with bizarre/faulty responses.From the get go, I felt product pushing was a big thing...I don't mind hearing about the latest, best curl moisturizer for hair, but so much attention was placed on 'what to use' that it negated what many naturals came there to find. How bout they bring in a Natural Hair scientist (*hint), to help break down the important questions, rather than celebrity 'experts'. I still like Essence & still continue to read even though their articles have taken on new direction, but I sincerely hope they listen to their readers as well as the natural hair community and what they truly need to help maintain & care for their hair. I really want to like Essence Chai but they make it so difficult! I do think talking about natural hair is a good first step but how long are we going to keep congratulating them for that? I want them to climb up that ladder not just stay on the first rung forever. I was reading a different article on the Essence website and saw a mention of the Live Natural Hair Chat. I thought oh dear, this won't end well. I agree that with all the information now available on natural hair for black women (that was NOT available when I went natural in 2005), Essence should be ashamed of itself for basically saying f*** effort. I really want to like them, but they have a long way to go. Please send this to them. I didn't join the chat because...Well I had programs to pretend to write.^_^ They need to be aware of the fact their sharing incorrect information/this isnt information people need! Did/does anyone know how the chat was structured? Did Essence filter questions/comments/responses to their statements? Does anyone know HOW much filtering happened? It seemed (according to your letter) that they stayed on the safe side and avoided the important topics..
On the bright side, I'm glad the chat didn't deteriorate into "BUYBUYBUYBUBYOHWAIT! ?YOU HAS NAPPS? !LIKE THE REAL NAPPS?!RELAXRELAXRELAX!!!" Jc, I agree whole heartedly with your letter and everyone's comments. I've received Essence for the past 6 months because free magazine subscriptions were the only way I could redeem some old frequent flyer miles. I would never pay for this magazine! I wish I felt differently, but every time a new issue comes I'm shaking my head at what they choose to print. I won't start my rant about the articles, let's stick to hair. The images and ideas for natural hair are so "old school"...they come from a generation that still has no idea about the versatility of our hair. I will say that I have seen a few decent tips on their website (look up: "Grow Baby Grow") and either the May or June issue had a sprinkling of good info discussing relaxed, natural, and transitioning hair. None of that info was new to me, thanks to this site and the others you've mentioned in your letter. But, I'm sure some women may have found it helpful. Over the past 6 months, I have seen their coverage improve. The January issue had a big section on beauty secrets for the New Year. They featured make up tips, work out tips, hair tips, etc. But, the hair "beauty secrets" were all about weaves! Literally, all about weaves. Now, it's June and they tried to do a Natural Hair Chat. It looks like they are trying to improve what they are doing, but they are doing it too slowly, too timidly, and without doing their homework on what's already out there. Thanks for sending the letter Jc! Hopefully, they will listen! I scheduled them to remind me 3 hours before the chat started then totally forgot. I guess I didn't miss much. Great post though, I hope they read it. I would LOVE to see interviews with naturals in their magazine! I caught the end of the chat, but I really didn't think they were going to say anything I didn't already know from my own research and from blog, forums and youtube. Yes you should not skip on Youtube! You may be the only blog based mostly on hair science but Kimmaytube youtube gives great information about the pH of products, just like you. She has grown long natural hair after learning about the science of hair and products. Check her out!! But great post, I totally agree. Alice - a lot of comments were not aired. I know cause I typed a few that never made it. LittleOne-this is really true - their ideas do sound like they come from a generation where natural means tumbling curls. Natural is so much more and in some cases not even close to tumbling curls. BBB- Definitely would like to see real naturals perhaps even little A featured, bring on the new generation! Excellent, excellent post! On Target definitely. I think we all need to the face the sad fact that Essence is no different than Vogue, Marie Claire, Redbook and the host of other magazines that cater to their mainstream demographic. They don't want to tell black folks how to take care of their nappy hair. well said, jc. i am also a chemist (the curly chemist on www.curlynikki.com) that consults others on hair care. i can say that i saw the chat and answered questions, and i noticed that i was blocked from answering questions. One of my comments actually made it in the chat room. It was about the moroccan oil they were trying to promote. When I went to the website and saw the pricing, plus the exclusive appointments, I said to myself I can go to the vitamin shoppe and get these same oils for way cheaper. Then Keith said some smart a** comment like only buy the oil because its for hydration (paraphrasing). I'm glad I know how to take care of my hair because if I didn't I'd probably would have followed his advice. And to think some people actually did. HAM! Preeeeeeeeach! Wow, JC I'm so glad you addressed this issue. It's not just Essence though. This morning, I was looking through a copy of Black Hair and Beauty that I bought this time last year - and seriously. It just pimped out products and people and other things necessary to live a certain lifestyle left right and center. I think the main problem stems from the fact that because of the lack of knowledge about natural hair, it remains a niche market and therefore it's difficult to gain funding. No funding means it's hard to get the word out unless you're actively looking or know where to go...therefore, nobody knows about it! I asked three times question pertaining to 4c hair and I was on from the moment they came on...NEVER ANSWERED THE QUESTION! Chrisette Michele was the ONLY one who gave great advice on conditioning treatments. The rest of the chat was reading the rest of the participants fawning over each others hair and whatnot. I was COMPLETELY disappointed! *hand clap* *hand clap* I was not able to make it to the chat but it seems that I did not miss a thing. Thank you for being the VOICE! It is truly appreciated. 1) yay or the new layout! 2) i'm so behind in my blog reading - but i'm glad i read this. essence & i have a love hate relationship because they produce contradictory messages. this was great to read. there are so many resources out there reinvigorating my faith in black media.. but essence just doesn't cut it for me sometimes. with all of the resources available online and even in print, you're right - we don't need another misinforming source. Thanks for the comments ladies - can I just agree with you Moni - Chrisette Michele was real! She gave real advice on products including honey and olive oil. It sounded to me like she was the only one on the panel who had natural hair. Congratulations to her! I do enjoy reading your blog, but I have to pipe up and say, as a 4b, I do enjoy Naturally Curly as a source of information for natural hair. Although the 4b section is a ghost town at times, the 4a section always has new comments and suggestions. I think that genuinely good haircare advice doesn't revolve around products and shouldn't change daily, so most of the helpful information about haircare has already been discussed on the site and is easily accessible with a search. And the site is free - you can't beat free. I like the letter. I think Essence is out of touch when it comes to taking care of natural hair and on many other issues as well. I used to be a subscriber to it and also to O magazine. Like someone else said, most of the products they promote are expensive and even though O does the same, they also pick some affordable products. Shellye- I think fashion and beauty blogs like bglh would get quite stale without daily updates. However speaking product wise, daily updates are not necessary but regular updates are- Products change formula, people discover new things and new naturals begin their journeys. Between blogs, forums and youtube there is a wealth of information but I would not say that everything to discuss has been discussed. I discover new things on almost a daily basis through readers questions and comments and my whizzing through blogs. I have been natural for nearly 10 years and still discovering! there isn't much more to say. you said it all! Wow JC....I did not have a chance to view the chat...it sounds...interesting. I've kind of been a little skeptical because all of their natural hair articles in Essence have included pictures of hair that are obviously a curly weave or wig. It's wonderful that natural hair is becoming more mainstream, but the type of information you pointed out is not at all helpful to the newly natural person. I think the last thing someone needs to worry about is frizz when you just BC'd. I just worry so much that people are going to read some of these "tips", follow them, and then cry in despair because they are still fighting their hair. I sincerely hope that you sent them this email. Kcurly- You have articulated my concern really well. If a new natural read the chat and thought those were 'leading tips' they would seriously not be able to survive. With the exception of Chrisette, there was no good advice for naturals. I have tweeted the article to essenceonline. I looked for an email address for the editors and could not find one. I am going to look for the print edition and see if there is one in there. I have found a postal address so I will print out the letter and comments and send them by snail mail! THANK YOU JC. I STAND AND APPLAUD YOU for your letter. It was necessary!!! Now I wonder if you will get a response.............lol!!! I did not bother to catch the chat, because I figured it would be on the lines of their "natural hair articles" (for example, people with curly weaves pictured as naturals). However, I have experienced the same frustrations you have with essence over the years and I agree 100% with what you and the other peoople commenting have pointed out. We don't need to be misinformed, and its escpecially hurtful when we are misinformed by our own "black magazines". Do better essence. I no longer read the magazine. Not only are they behind on hair care, but they also have silly articles now like "what he really wants in bed but will never tell you" and advertisements for images that are not practical to obtain. They are the "Black Cosmo" now, and that is not a compliment. They no longer have quality information. Great letter! I joined the chat and found it useless. The "experts" were too busy catching up with one another on non-hair related topics and were not giving advice or answering questions. None of my 3 questions were posted. Also, I agree with Moni 100%. I am an Essence subsciber and sometimes I question the mixed messages they send. One page it's save, invest, build wealth and the next it says blow a paycheck on luxury items (see July issu). Lastly, I disagree with you about naturally curly. Someone from there referred me to your site. I like the diversity on the site and feel that us curlies whether 3a/b/c or 4a/b, we learn from one another. We really need to stop putting SO much focus on hair types. There are other important factors such as hair texture, porosity, etc. that play a role. Also, curly nikki does not lean more toward type 3 hair. Not sure why/where you got that from or how often you visit the site. There are mixes of everyone there. Overall I feel Essence should be doing much better as a magazine geared toward Black women. They should be able to offer something for everyone, natural hair, relaxed hair, weaves, etc. Black hair care tips that are beneficial. They have a lot to learn. Hopefully they'll apprecite your letter and really try to do better. Great site by the way. JC, You need to write a book!!!! Have you thought about self publishing and having your book on Amazon or doing the natural hair lecture curcit. I would be one of the first to purchase one, honestly you have a wealth of info that we can use in the natural hair community. Finally,I have been mentioning The Natural Haven on countless blogs because I think you are one intelligent sista. Thanks Angelina, I appreciate the compliments. I have thought and received a couple of publishing offers. I have not received the right one yet though. I do appreciate you spreading the word too!